I like to travel and I like to read. Books are heavy. If you have ever had to move and you own a lot of books you have probably discovered just how heavy they can be when you have more than one. If you are taking a trip with just a single book, weight usually isn’t an issue because you can just carry it with you on the plane. However, if you are traveling long-term, books tend to pile up. At one point, the weight of books in my checked bag was almost 1/3 of the total weight I was carrying around. You might just say I could throw the books away or leave them somewhere, but…. I never want to get rid of books. Perhaps its a compulsion, but I never like throwing books away or leaving them somewhere. Maybe I could do that with a novel, but I mostly read non-fiction and I liked to keep the books I’ve finished in my personal library. When I was on the road full time, that meant piling books up in my bag or shipping them back home, which wasn’t cheap. Books Are Expensive. In most of the world, books are very expensive. Especially English language books if it isn’t an English speaking country. Even in Canada, books are significantly more expensive than what you will find in the US. I found some English language bookstores in Asia where you would expect to pay over US$40 for a hardbound book. Selections Overseas Is Poor. This was really the sticking point for me. The bookstores I found overseas usually had a very poor selection of books which focused on best sellers. You could find Harry Potter books or the latest Dan Brown novel, but good luck finding a book about the history of Philippines in WWII. Often times I found myself reading what was available rather than what I wanted, because what I wanted just wasn’t there. The answer to all my problems came in the form of the Amazon Kindle. The first Kindle was released in November 2007, after I had been on the road for over 6 months. When it came out I was finishing up a month and a half in Japan and it just wasn’t available in that part of the world. I followed the news and reviews but didn’t jump on the Kindle bandwagon right away. As with most products, the first few generations of the Kindle were pretty klunky. I always thought the keyboard on the kindle was rather awkward. It was like a Blackberry in a world of iPhones. I finally make the leap in late 2011 when the Kindle Touch was released. This was finally the version that I thought was a real e-reader. I replaced it almost a year later in December 2012 with the Kindle Paperwhite, which offered a touch screen that was backlit so you could read it in the dark. I also made sure to buy a 3G version of the Kindle. While the 3G version is more expensive than getting a plain wifi version, the 3G version has Amazon’s Whispernet built in, which lets you log on to 3G networks almost all over the world for free. I can just turn on my Kindle pretty much anywhere to sync or to buy something from the Amazon store. The 3G functionality saved me back in 2014 when I was about to set sail from Cape Town to the island of St Helena. I was on the ship and it was pulling away from port to start a 21-day trip, 10 of which would be at sea. As we were leaving, I realized I didn’t have anything on my Kindle beyond the book I was reading at the time, and that wouldn’t last me 3 weeks. I ran up to the top deck of the ship, got a 3G signal and downloaded all of the Game of Thrones books as we pulled away! I had reading material for the entire trip in a matter of minutes. That story encapsulates why I am such a fan of the Kindle. Whereas I once had to buy expensive, heavy books, which were usually hard to find, I now have the world biggest bookstore in my pocket with instant access to millions of discounted titles, no matter where I am on Earth. I currently own a Kindle Voyage which about 2 years old at this point. Other than not being waterproof and some battery and size changes, it is pretty much the same is the top of the line Kindle Oasis. I have no immediate need to upgrade my e-reader at this point unless some game-changing feature is released in the future. The wonderful thing about consuming ebooks isn’t just the low weight, low cost, and huge selection. You can also read on almost any device and pick up where you left off on a new device. 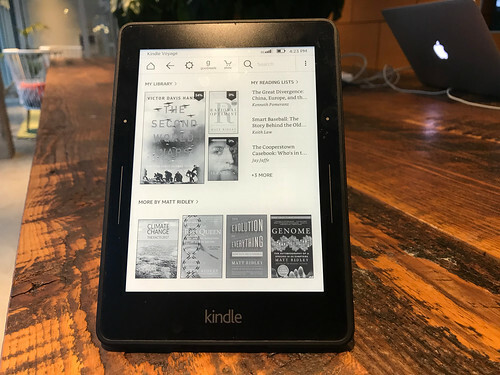 As tablets and larger smartphones have become more popular, e-reader sales have plateaued because most people don’t need a dedicated device for reading if they have something else which works. The biggest complaint I’ve heard against ebooks is that people enjoy the experience of a book and like being able to put it on a shelf. I understand why people think that, but it really marks a difference between books and reading. Historically there was never a difference. However, now that books have been liberated from paper, you can get the ideas and knowledge of a book without the physical object. As for me, I love reading more than I love books….especially when I travel. I wanted to buy such a thing lots of times, maybe this year I will do it! Last year in my Tuscany holidays I had 6 kilos of books in my bag. Great post Gary. Nowadays I end up buying both the physical and the electronic versions of the books I read. Some physical books are just beautiful (for example, books published by Folio Society) and they seem to be gentler on the eyes; the Kindle, for its part, is the central repository of everything (comments, highlights, wish lists, everything). I use the kindle app on my iPad. Would there be a reason to buy the actual Kindle? The most I love in Kindle is the fact that there´s no distractions on it. Reading on Iphone is like being in a room with a lot of people talking aou loud! I love, love, love my Kindle and it’s definitely one of my must-have travel companions when I got anywhere. That said, I do still buy real books, mostly because I really love being able to have a book on my shelf and also being able to share that book. It’s harder to do on a Kindle, but one of my favorite things is sharing one of my favorite books with a friend. I have a Kindle and it’s an incredible piece of technology! I don’t go anywhere without my kindle! Before I was from the old “I prefer paper” school, specially in the pre-kindle era when ebooks were mostly shiny and eye-killer tablets with 3h battery life. But after getting my kindle (I’m on my third right now) and enjoying a month of reading without needing to charge again the device…, it is fantastic! 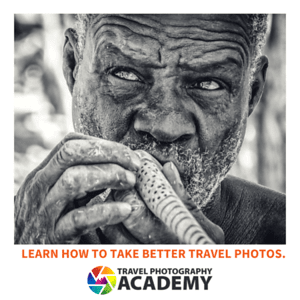 I’ve used in a boat in the Mediterranean, a forest in Thailand and in more queues and trips I can count! Best invention of the century so far ! I’m still reluctant to trade the paper for electronic ink, but my head knows I should do it now. Do you think I should buy an ipad instead of a kindle? I read a lot and I prefer eink, but its a personal choice. The great thing is whatever you do, you can access your books on any device. I have an iPad that is several years old and feel the same way. When I’m on the road, it’s all on the iPad. However, when we’re at home, for some reason I prefer a real book. As my shelves fill, I’ll probably change my mind on that. My iPad does the same for me, plus it replaces the Scrabble game my husband and I traveled with for years. I also use it to replace my camera, read my newspapers, correspond with friends, send comments to my political representatives, listen to podcasts (including yours), practice my music, and play word games with friends from all over. I would need a trailer to lug all these things with me. Now carry on luggage is plenty.